Specifications︰ These blades are engineered for aspahlt and green concrete with their ideal bond and structure. 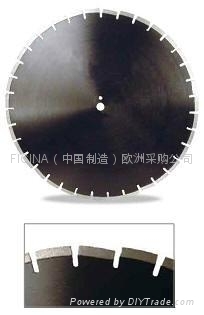 Slant segments or tungsten carbide inserts protect the blade from undercutting. 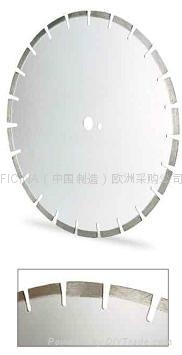 for used with Flat saw machines with power more than 35 hp.